LCHope offers a variety of Bible studies. Pastor Randy leads our Wednesday morning Bible Study during the school year, focusing on a different theme each semester. All are welcome! Faith discussions take place on Wednesday evenings, also led by Pastor Randy. All are welcome. Women of Hope Bible Study is open to women of all ages, and takes place once a month. Coffee and snacks are on hand. Beth Rogers leads the group. Wednesday evenings are busy at LCHope! We have rehearsals for music ministries, adult faith discussion, youth classes, worship, and a common meal. Bring family and friends to this fun weekly event. Dinners are from 5-7pm and are catered by local restaurants, including Delvickio's, Buenos Tiempos, and Pearl Wok. There is no cost for the meal or for activities. All family and friends are invited to events both in-house and around the community, including after-worship coffee time, baseball games, family fun nights, and theater shows. Read the eAnchor for fellowship updates. Our Moms group meets on the first Thursday of every month to share stories, thoughts, and concerns. Contact Andrea Minnich for more information. 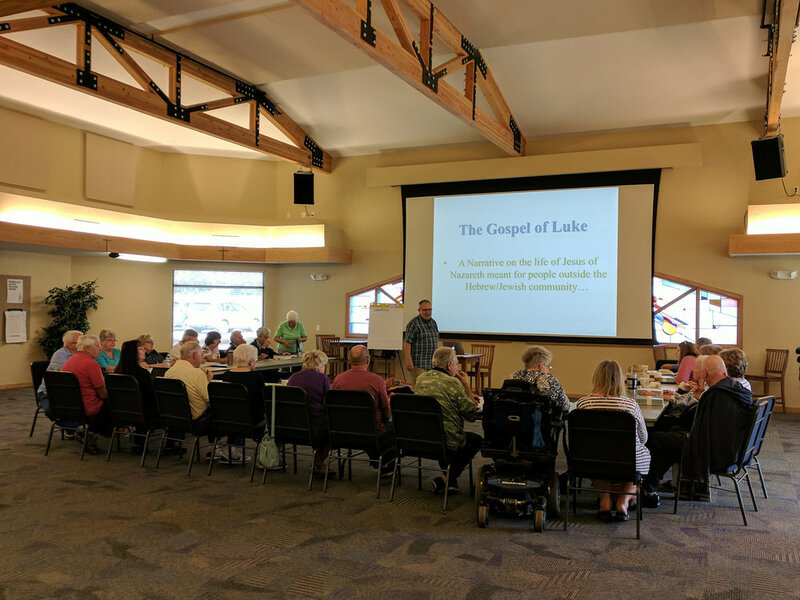 Yearly retreats and get-togethers include a summer camping trip at Lake Granby, women’s retreat at Messiah Mountain, men’s and women’s golf trips, and a youth trip. Retreats are open to all but require prior registration. Contact our Discipleship Tenet leader, Andrea Minnich, for more information. Thirsty Third Thursday is a favorite activity for both members and friends! All are welcome to join Pastor Scott for drinks and snacks on the third Thursday of the month. We stop by a different local brewery or winery each month, so check the weekly newsletter or contact the church office to find out where we’ll be! Women, Wisdom and Wine is a new monthly initiative started in 2017 that brings together women of all ages over wine and conversation, with some fun activities mixed in. Ladies meet at the homes of members or out at community events. Past events have included Paint n Sip, Soup Exchange, and Games Night. Contact Jen McAnally for more information.